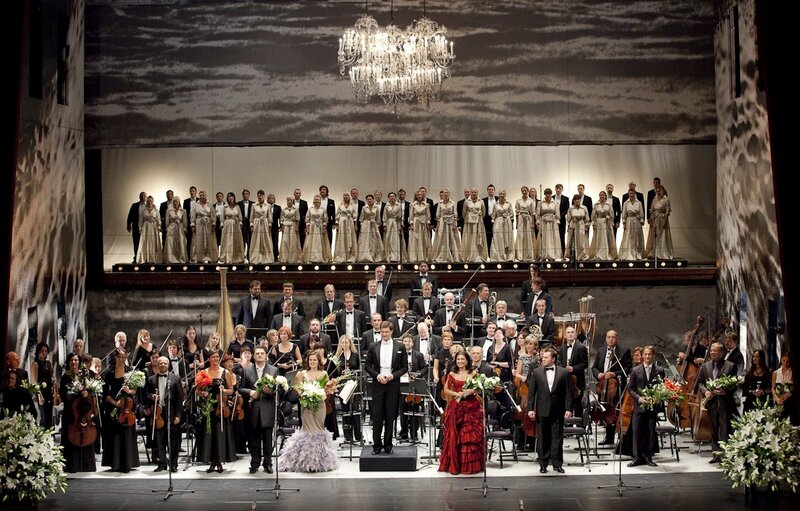 On December 22, the Latvian National Opera (LNO) company will celebrate its 90th anniversary with a major concert starring leading opera and ballet soloists, the orchestra and chorus and special guests. Arias, duets and orchestral pieces from Wagner, Gounod, Strauss, Verdi, Mozart, Delibes and many more will be on the bill. Our own maestro, Raimonds Pauls, will be among the many special guests, and his music will also be featured, arranged by LNO’s Artūrs Maskats. There will also be highlights from a long list of LNO ballet productions, including the Yuletide season’s favorite “The Nutcracker”. The conductors for this special night will be Mariss Jansons, Aleksandrs Viļumanis, Modestas Pitrenas, Farhads Stade, Mārtiņš Ozoliņš and Normunds Vaicis. "Since LNO returned to its White House after restoration, in keeping abreast of contemporary opera and ballet worldwide, we set as our goal highly professional musical performance co-joined with innovative direction and visual appeal. Today we can surely say that we have reached this goal. LNO is not only a key cultural center in Latvia, but we now have secured a place among the world’s finest opera companies. LNO has nurtured many artists, who now sing and perform on the world’s top stages. This jubilee concert will attest to our high artistic level, and bring together a number of star-studded guests,” said LNO Managing Andrejs Žagars. Established in 1919, LNO today is a company of 500 people, and its season is from September to June, offering about 200 performances a year. Annual attendance figures range between 135,000 and 145,000. The ballet and opera companies have toured the world far and wide.